Below are the links to the different benefits a student or teacher may experience with use of an outdoor classroom. 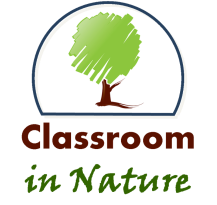 You will find scientific information on issues concerning outdoor classrooms, as well as scientific findings for the benefits of using outdoor classrooms. In this section I present a subset of the research literature examining the potential benefits of teaching in outdoor classrooms. Some of the studies discussed here have robust methodologies, and thus we can have more confidence in the findings - that the findings of positive effects are likely to be “real.” On the other hand, some of the studies have weaknesses in their research design that then weaken our confidence in the findings and also in the generalizability of those findings, i.e., maybe the findings are only true for that set of students in that particular setting and we would not see those same results with a different set of children in a different setting. Some of the methodological weaknesses include: comparisons of only two spaces and not using the same exact lesson plan in both spaces - therefore it could be something about the lesson plan that made the difference in scores. In one experiment, the teacher was trained about outdoor habitats after she taught the first group of students indoors, but before she taught the second group of students outdoors. Some studies only reported findings from outdoor classrooms that were rated as 'successful,' and thus only reported on positive findings. Please note that I did not report any 'neutral' findings - that is when a study found no difference between indoor and outdoor classroom settings. Furthermore, although I did not find any studies that reported negative outcomes from using outdoor classrooms, there is a possibility that some negative outcomes could occur. However, on the whole, the research suggests that there are many potential benefits and outdoor classrooms should be seriously considered as an additional educational setting for optimizing learning.